By John McCannon Ph.D. and Christina Giangrandi M.A. 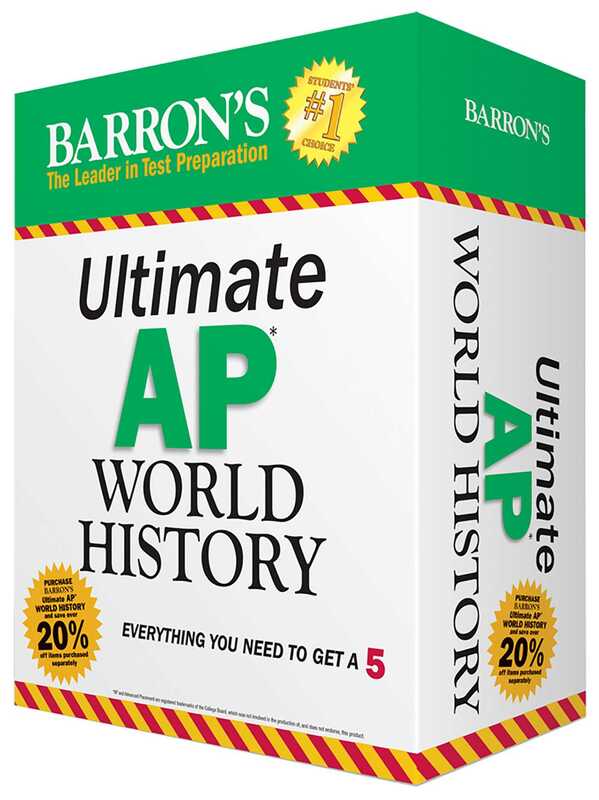 Find everything you need to score a 5 on your AP World History exam—and save over 20% OFF items when purchased separately! Includes two full-length and practice exams with answer explanations reflecting the most recent exam; a review of world history, from the foundations of civilization circa 600 B.C.E. to world cultures of the twenty-first century; revised strategies for answering all question types; and more. Also comes with three additional full-length online AP World History tests with all questions answered and explained. The online exams can be easily accessed by computer, tablet, and smartphone. 504 pp. Get concentrated test preparation with this handy, brand-new guide. It presents 600 questions with both correct and incorrect answers thoroughly explained to maximize your understanding of the content and concepts. Includes practice questions and answers that help you review history from the foundations of civilization circa 600 B.C.E. to world cultures of the twenty-first century. 350 pp.